Leonard & Sons is Chicagoland’s Chimney, Fireplace & Masonry Care Company. DIVI and WordPress Designer Project. All the sections were built using DIVI modules Testimonials, Fullwidth Slider, Blurbs, CTA and Map. 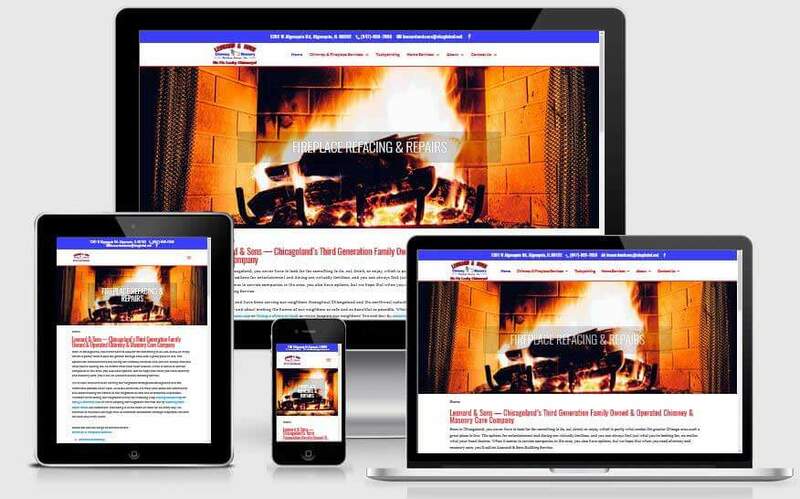 This is a responsive website for Leonard & Sons based in Algonquin, IL, which is a Chimney and Masonry care company. The goals were to have a Multi page website with primary and Secondary menu bars, breadcrumbs, SEO, Banners, Service areas, CTA, contact and appointment forms using Gravity Forms. DIVI theme was used to build the website. Yoast SEO plugin was used for optimization.